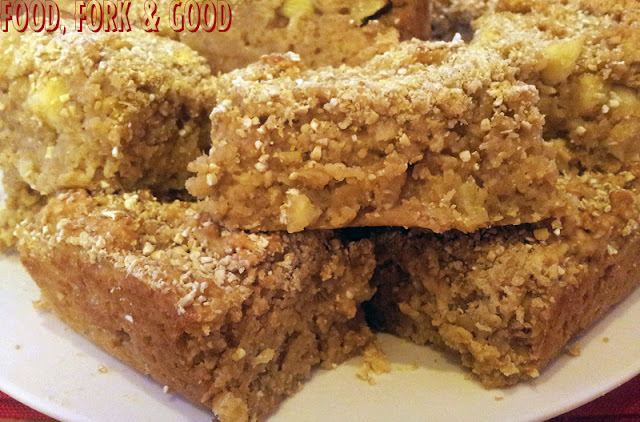 Apple Crumble Flapjacks. - Fork and Good. 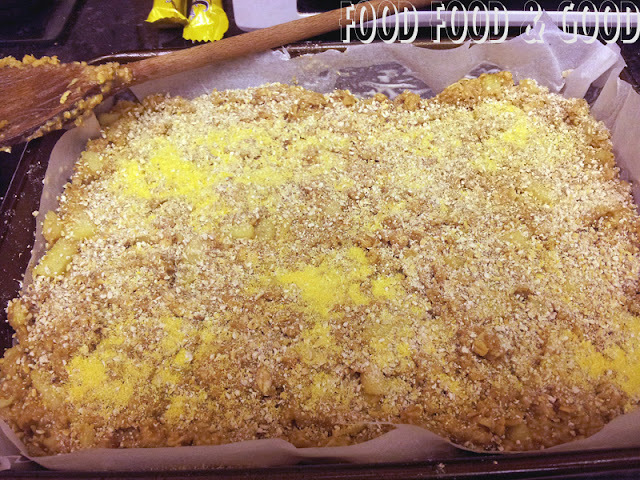 Home blog eat Old posts recipes Apple Crumble Flapjacks. Ladies and gentlemen, winning by a mile in the final count was: Apple Crumble Flapjacks! Adding all the votes from the polls, comments, emails, twitter AND Facebook (god, so many social medias) meant that these tasty little buggers won with 32% of the vote. Anyway enough of the counting stuff, am I the only one who found that vaguely exciting? Where did these tasty flapjacks come from? Well, I love making flapjacks, and I love eating apple crumble. In the lab that is known as my kitchen I came across the idea of fusing the two together to save time and belly space. In other words, it was a complete fluke that I have refined over time. 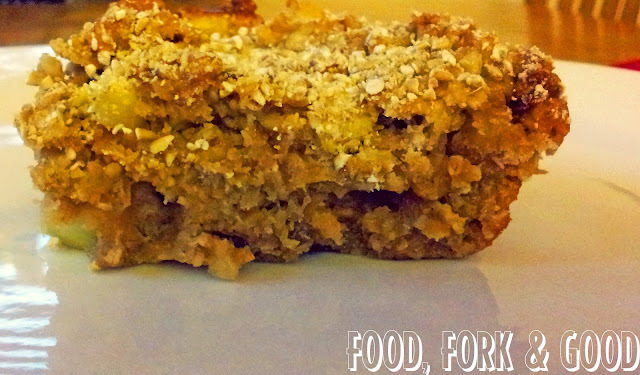 They are deliciously moreish, creamy, crumbly, chewy, soft, rich and...well... tasty. Lots of adjectives there. No these aren't waistline friendly if you cut them the size I have for this recipe, but if you cut them into smaller cubes, they won't be as many calories etc etc. We all know that's how the "diet foods" really work anyway. 1. 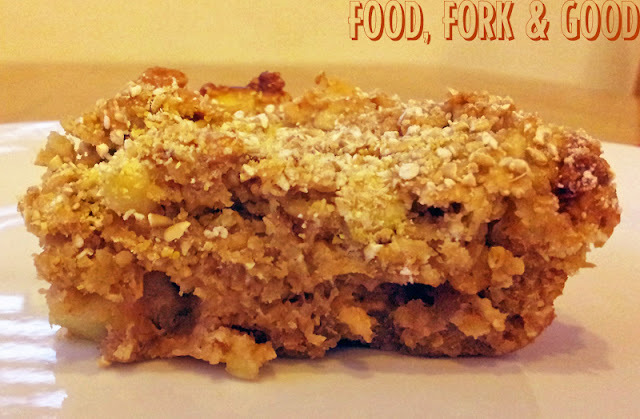 Apple crumble Flapjack - recipe today! 2. 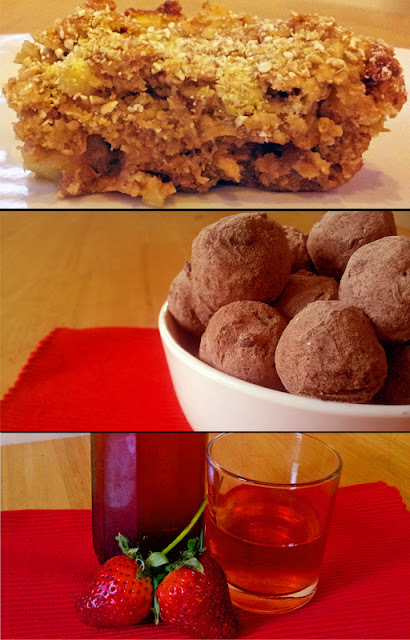 Chocolate Stardust Truffles - recipe tomorrow! 3. Strawberry Vodka - recipe Thursday! So on with the making of these flapjacks then. 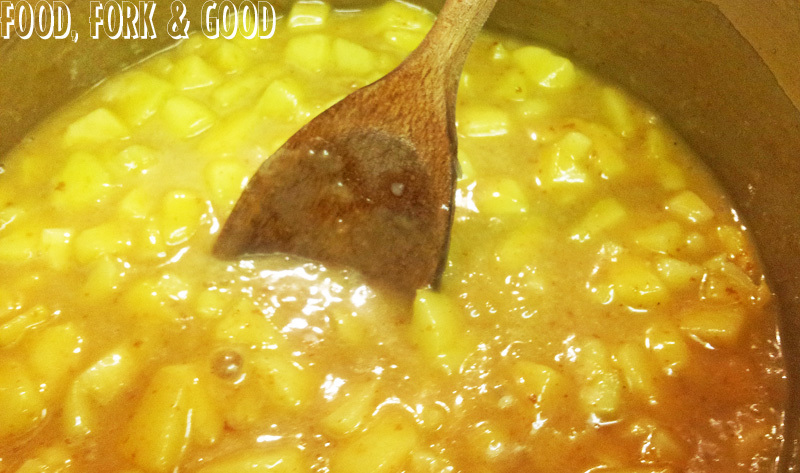 You'll need a big saucepan, a baking tray about 30cm x 20 cm, some baking parchment, a wooden spoon and some scales. That's the equipment sorted. 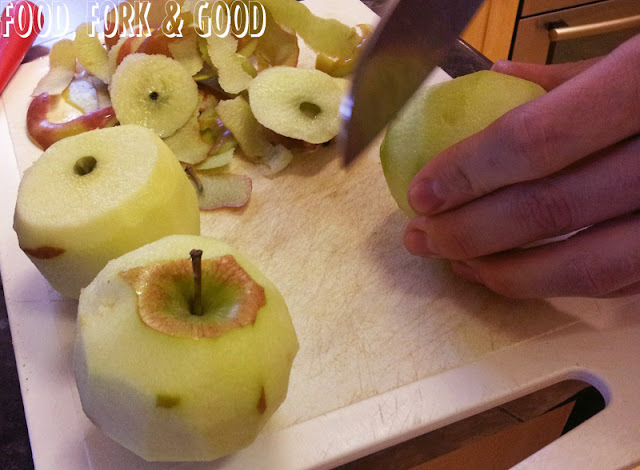 3 large apples, peeled, cored & cut into cubes. An extra sprinkling of oatmeal & polenta. Preheat your oven to gas mark 6 - 200 degrees Celsius. 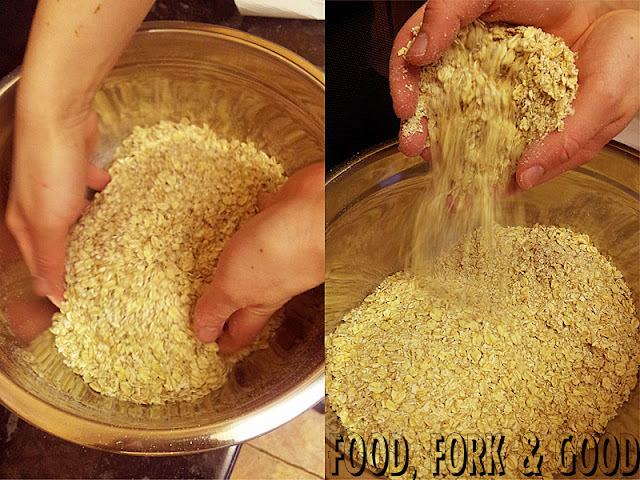 Next add the liquid mixture from the saucepan into the oats and mix thoroughly until it is all covered & the apple pieces are evenly spaced throughout the flapjack. Turn out onto a paper lined greased baking tray, making sure it's flat, even and filling all the edges. 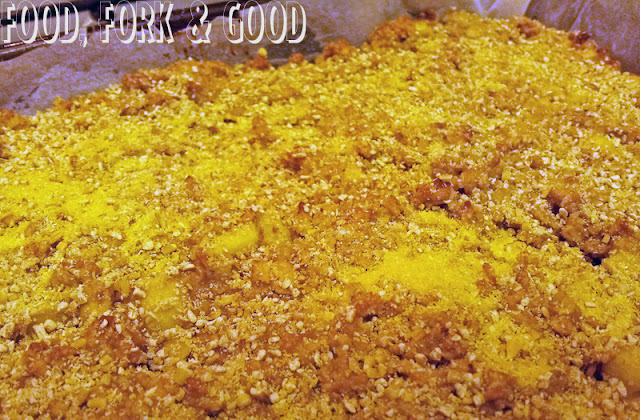 Sprinkle some extra oatmeal & a tiny bit of polenta on the top before leaving covered on the side for 10 minutes. Finally once rested, cooled and everything in between, you can serve your flapjacks! Or in my case, painstakingly arrange them for pictures, smacking people's hands away who are trying to steal them. Remove from the tray, lay out and cut into squares. These flapjacks are best served warm, they only need a couple of seconds in the microwave to get back to uber tastiness if they have cooled completely. Let me know what you think in the comment section below, or on facebook, twitter or by email!